After taking a pole of my peer group in their 30s they all agreed they would love to lose a few pounds. Five to ten pounds and keep it off most agreed. I don’t believe I know anyone who is completely satisfied with their weight, especially my female friends after having a baby. But we all can agree that losing weight can be challenging. I don’t think exercise is the answer either. I am an advocate for exercise but I feel that diet is the foundation to losing weight and overall health. Health is like a house, if you build a strong foundation the house will stand. Exercise is the compliment to the diet. Keep in mind there is no such thing as a diet that works permanently. Changing what and how you eat is the only way you can have successful permanent weight loss and health. Best of luck in your quest! Has a particular diet change worked for you? Let me know in the comments. My grandma knew how to cook. I think its something we forget at times. How have we gotten so busy? Our grandparents never thought about looking at labels when they grocery shopped either. They bought from farmers markets or grew their own vegetables and product packaging was simple, easy to read and natural. Now we live in a world where we have to use pesticides in bulk and chemicals to makes the biggest and best products. I choose to follow my grandmas idea of health and purchase only natural or organic products with simple easy to read ingredients. The only issue is the price! Going organic has become a trendy concept. Sadly trends are expensive to follow. But I have found a solution. It’s an online market place called Thrive Market. 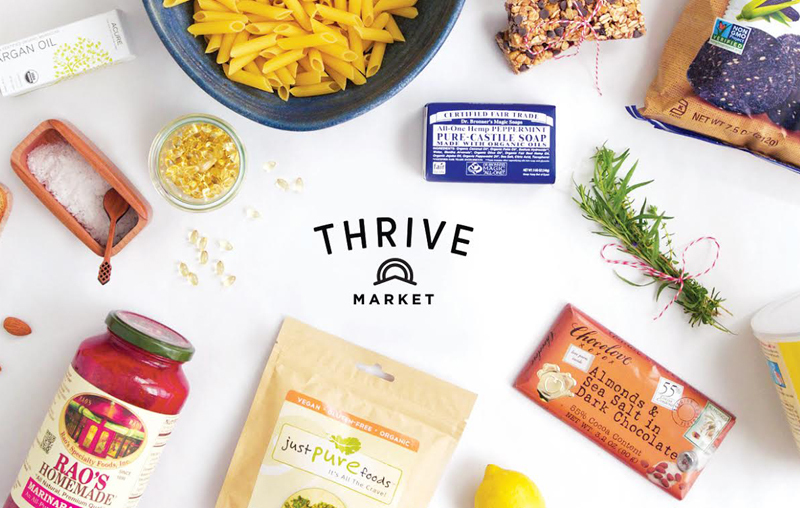 Thrive Market is a members only website where you can purchase organic, natural and chemical free food and personal care products at wholesale prices. Think Costco meets Whole Foods online. You will find over 400 of my favorite products like Earths Best, Nature’s Path, Jasons Naturals, Eden Foods and lots more on their website. The cost is less than $5 a month but the best part is you can sign up for a free 30 day trial membership to test it out. But there is even more! My followers can use the link below and save 15% on your first order and get free shipping for orders of $49 and above. So what are you waiting for? Eat and cook like grandma taught you!